Success is often reached through the little stuff. 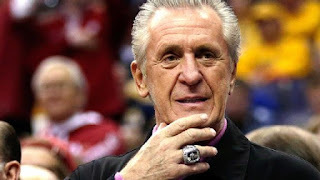 When Pat Riley coached the Los Angeles Lakers from 1982 to 1990, the team won four NBA championships. In taking over the New York Knicks in 1991, Riley inherited a team with a losing record. But the Knicks seemed able to play above their abilities and even gave the eventual champions, the Chicago Bulls, their hardest competition in the play-offs. How does Riley do it? He says his talent lies in attention to detail. For example, every NBA team studies videotapes and compiles statistics to evaluate players' game performances. But Riley's use of these tools is more comprehensive than that of his rivals. "We measure areas of performance that are often ignored: jumping in pursuit of every rebound even if you don't get it, swatting at every pass, diving for loose balls, letting someone smash into you in order to draw a foul." After each game, these "effort" statistics are punched into a computer. "Effort," Riley explains, "is what ultimately separates journeyman players from impact players. Knowing how well a player executes all these little things is the key to unlocking career-best performances." As Christians we need to pay attention to the details as we strive to serve our Lord. We can find those details in the Bible. So its important for us to get into His word daily. Make an effort today to start digging into the Bible today. Dear Lord, we pray today that we would pay attention to the details starting with getting into Your word so that we can see what You want for us to do. In the Name of Jesus, Amen.